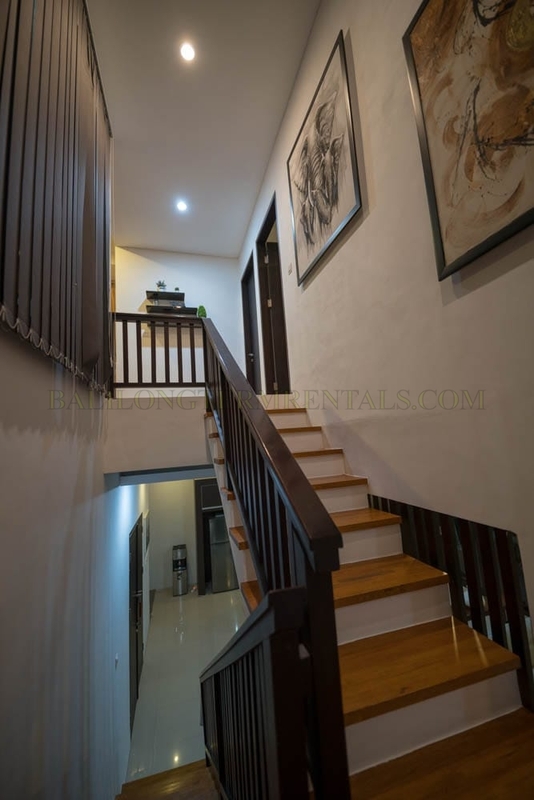 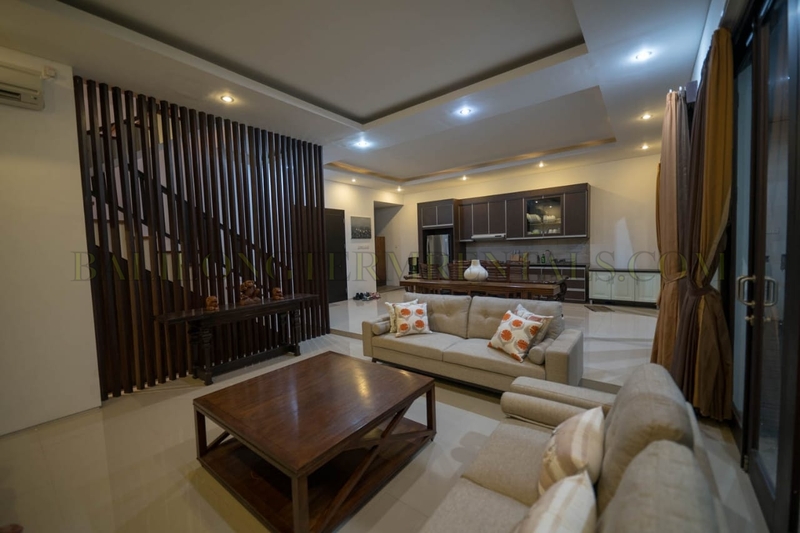 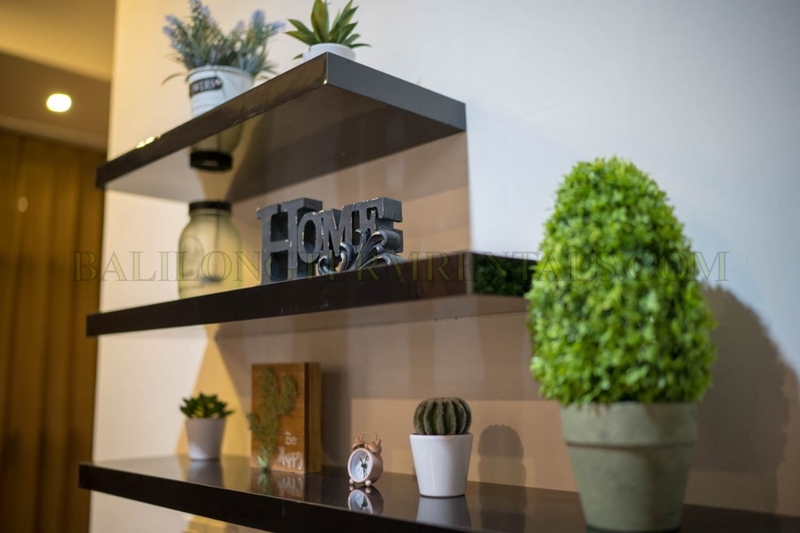 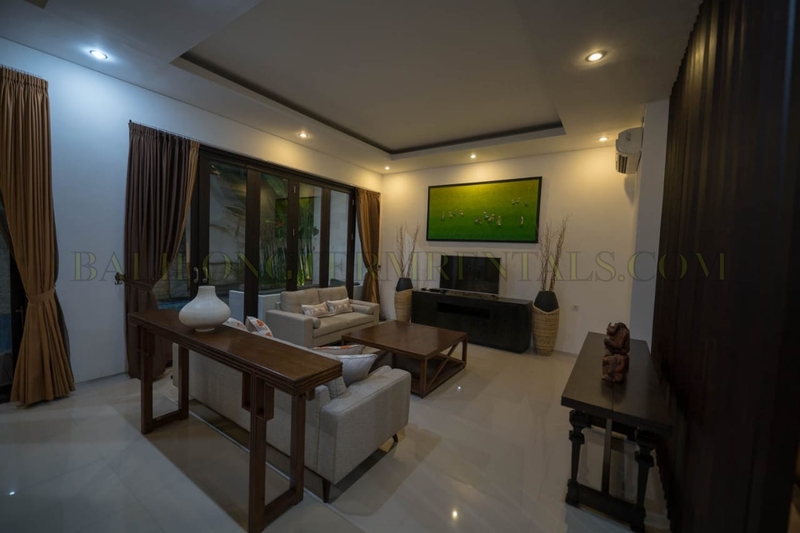 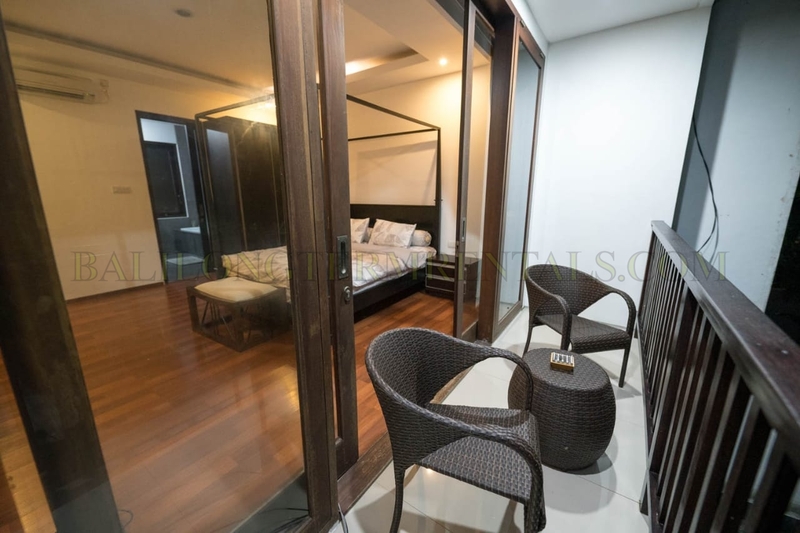 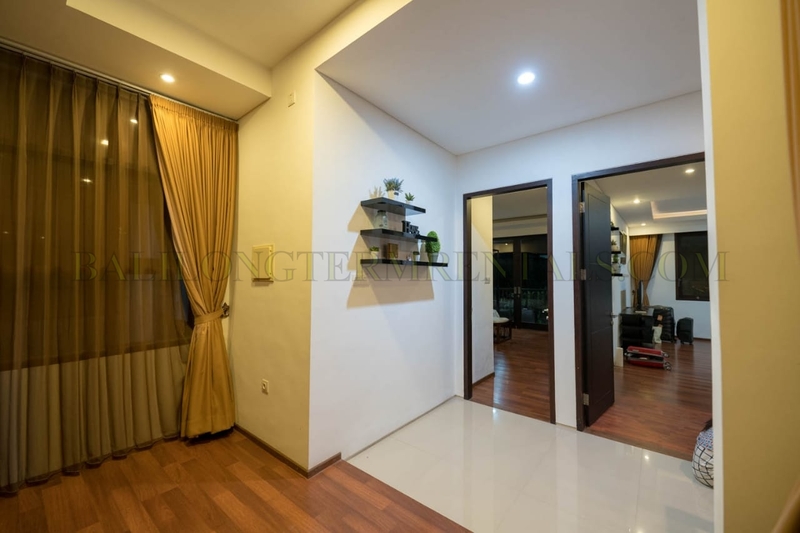 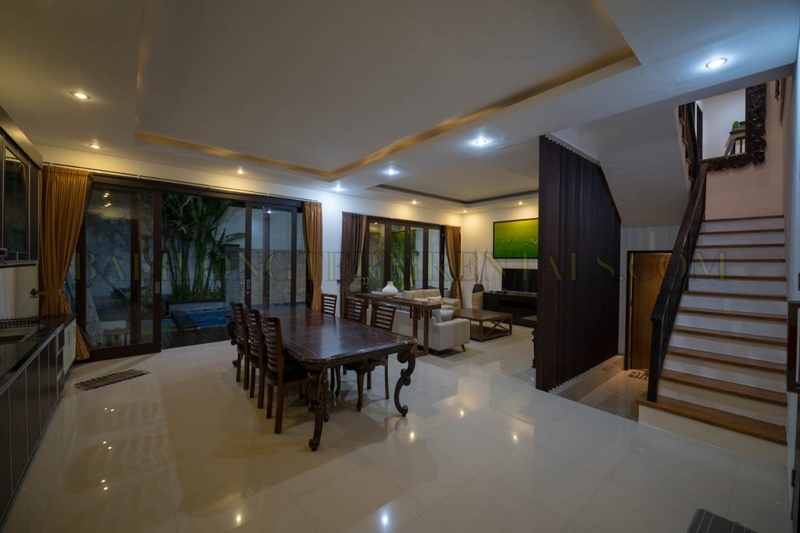 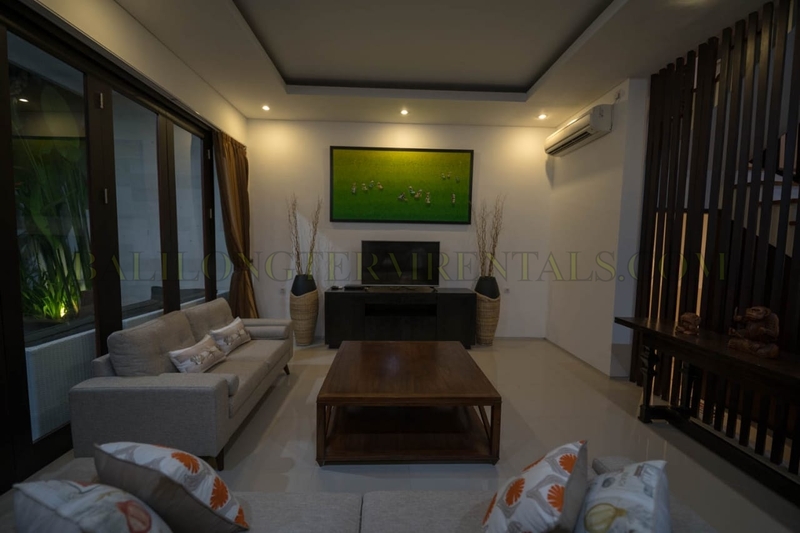 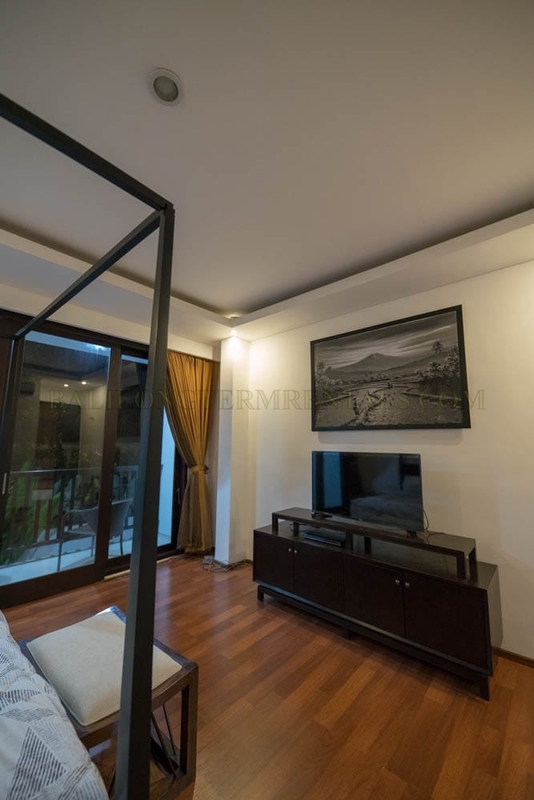 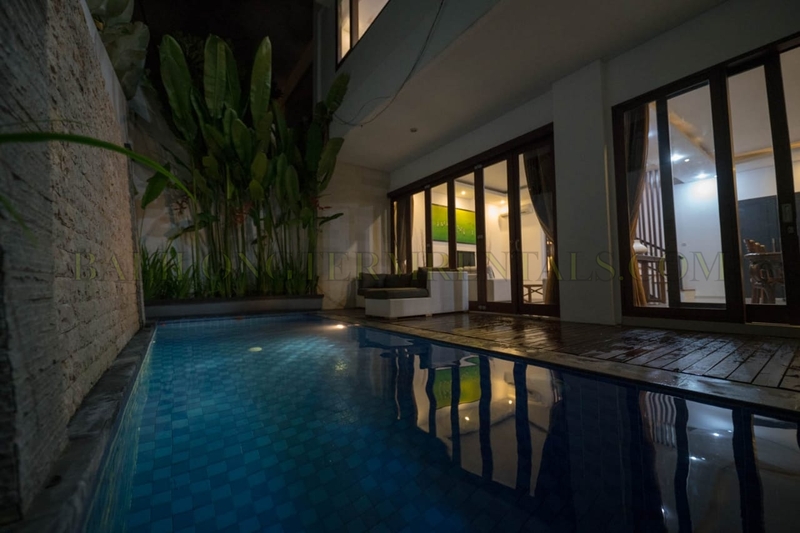 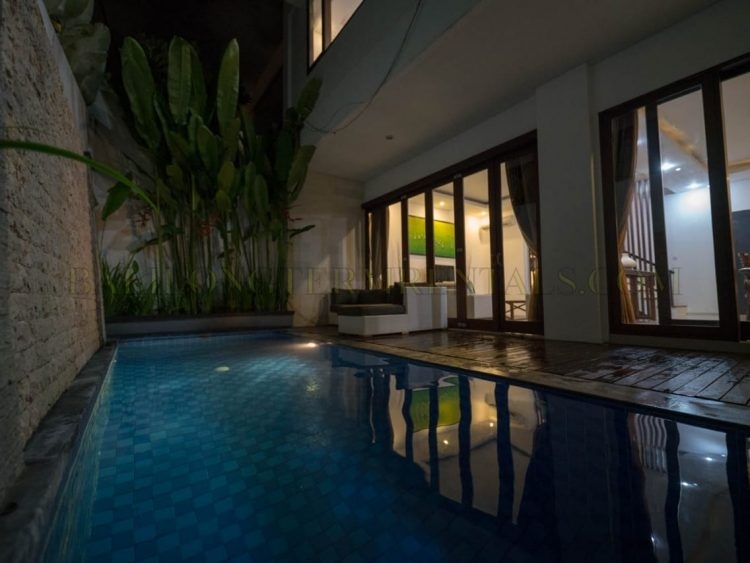 This two bedroom villa with enclosed living room located in Umalas-Bumbak. 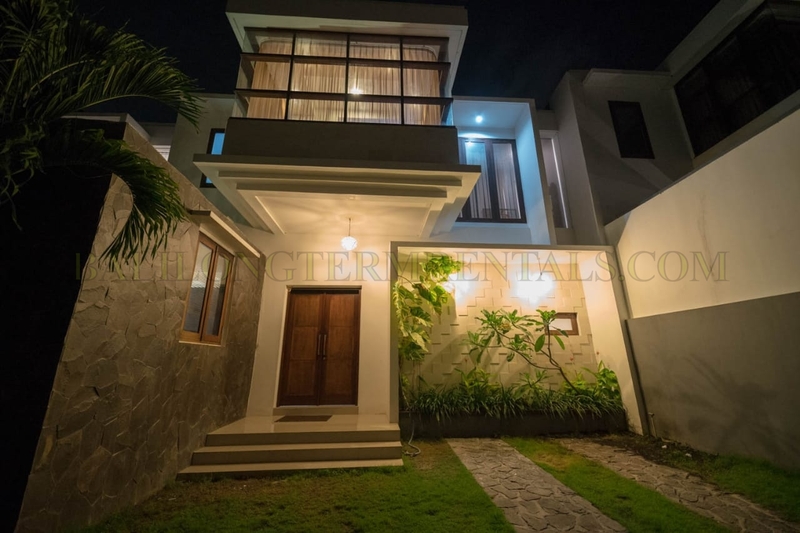 Secure living in a established villa complex. 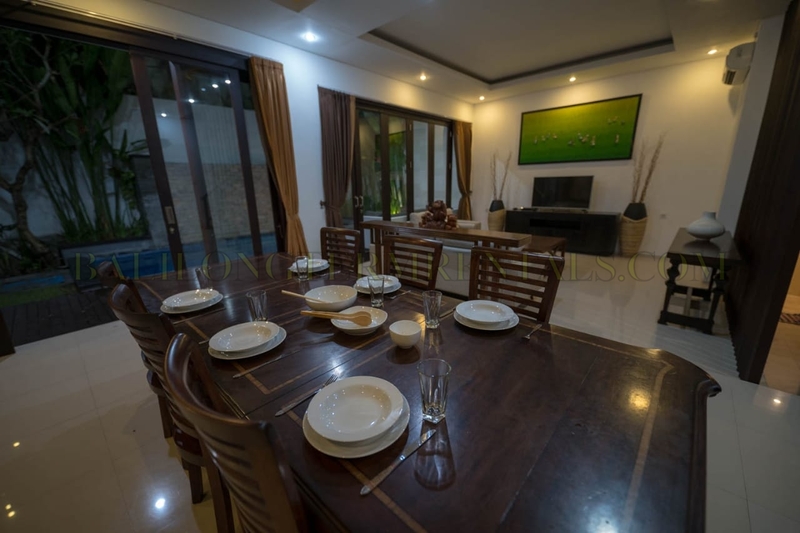 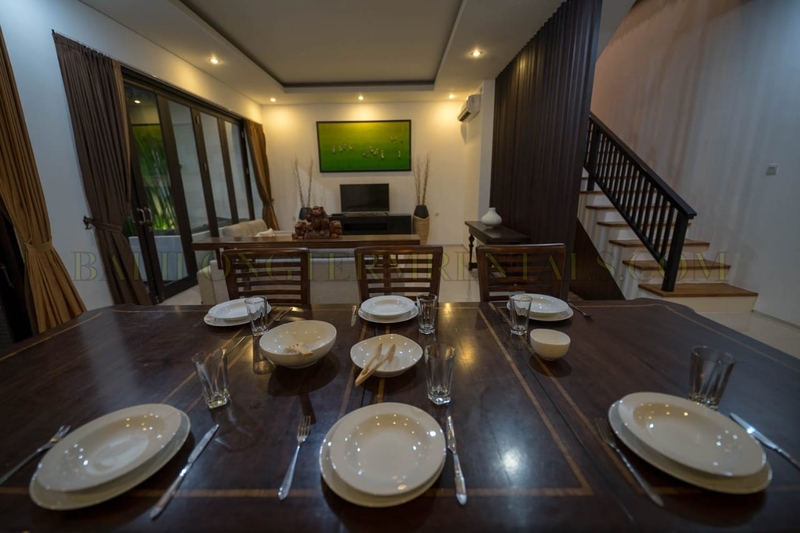 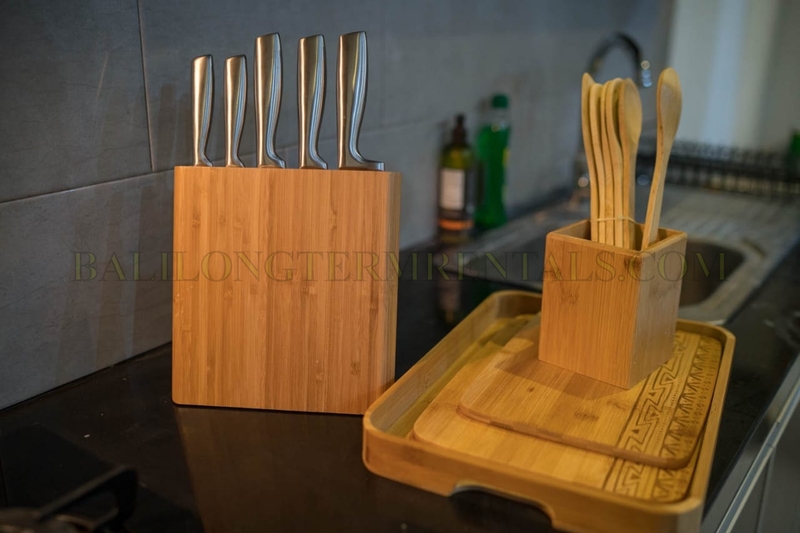 Living room, dining room and kitchen are fully furnished and its facing the swimming pool. 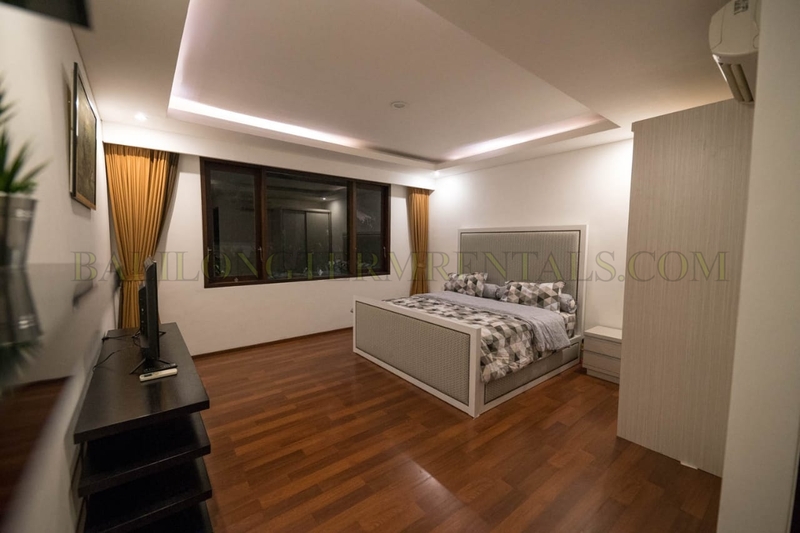 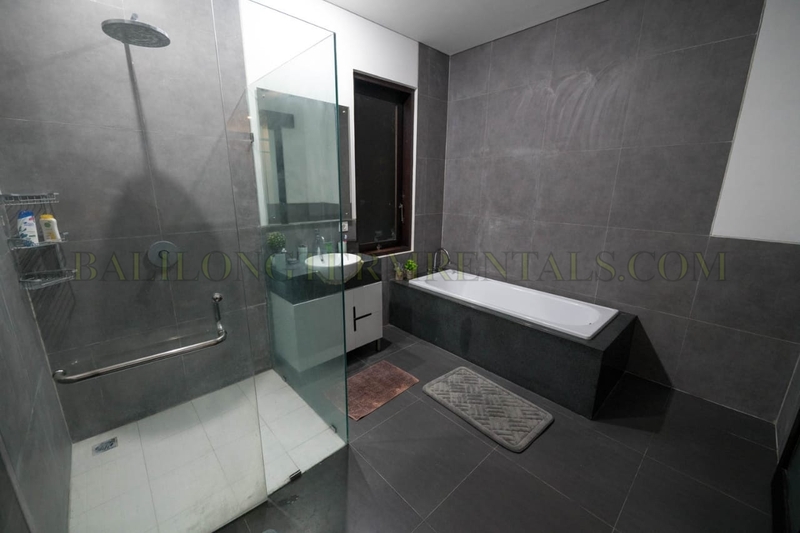 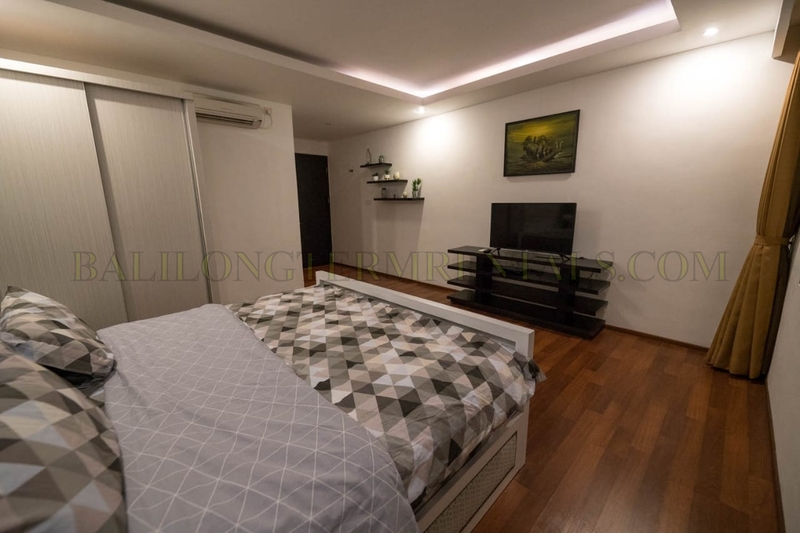 Both bedroom are up on the second floor, furnished, air conditioned, with their own bathroom and one of the bathroom has a bathtub.